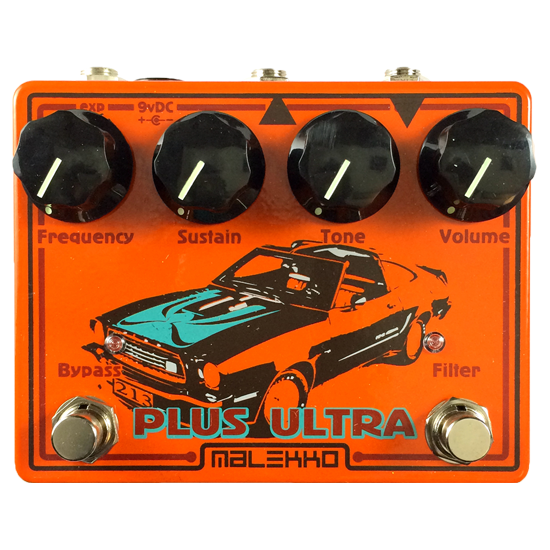 The Plus Ultra 213 is a classic fuzz coupled with an all-pass filter circuit. This Fuzz is a maxed-out, no nonsense fuzz capable of ripping toupees off of geezers and straightening out comb-overs from a distance of up to 213 feet*! From sweet soaring, jagged harmonic madness to crunchy woofer-frying lows, this fuzz is as mellow or intense as you require. Read more below! The Plus Ultra 213 is a classic fuzz coupled with an all-pass filter circuit. This Fuzz is a maxed-out, no nonsense fuzz capable of ripping toupees off of geezers and straightening out comb-overs from a distance of up to 213 feet*! From sweet soaring, jagged harmonic madness to crunchy woofer-frying lows, this fuzz is as mellow or intense as you require. The effects are not separate; you add the Filter circuit to the Fuzz. More then just a pretty face, this hand-built pedal packs some serious 60’s vibe under the hood: unearthed original parts from a bygone era, carbon comp resistors and new old stock components combine to create excessive vintage tone mojo horsepower. 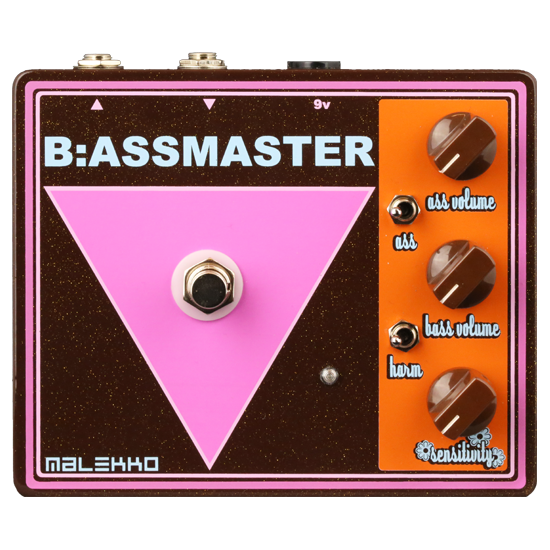 The resonant all-pass filter, tuned specifically for this fuzz, allows for intense high and low frequency peaks when tweaked with the tone pot. This pedal oozes classic vintage boss groovy mojo vibes, much like your lime-green beanbag chair, if that’s how you choose to live your life. Features an expression jack for vintage fuzz-wah freakout fun. WARNING: dialing through the tonal possibilities between the Frequency, Sustain and Tone knobs might be harmful to others. This pedal is powered by a 9v DC adapter (neg tip) or internal battery snap. Current draw is 50mA.